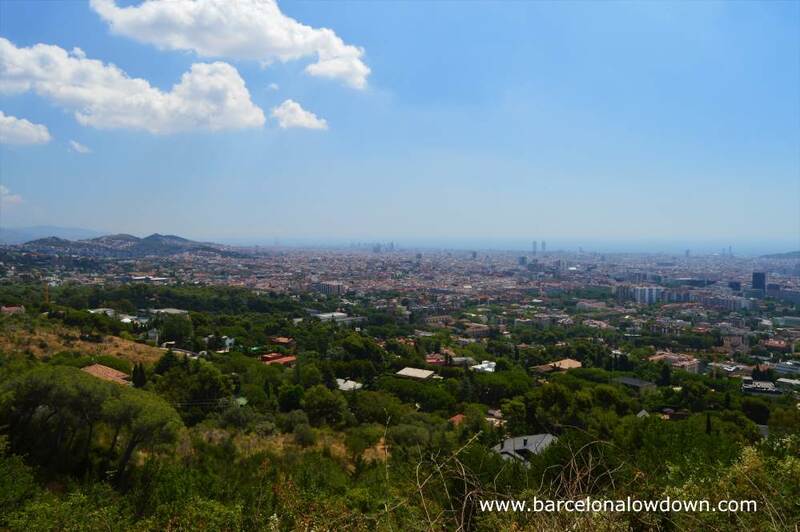 Often referred to as the green lung of Barcelona, Collserola National Park is a popular escape from the hustle and bustle of the city centre. Easily reached by public transport, the 8,000 hectare park is crisscrossed by footpaths and cycle tracks. 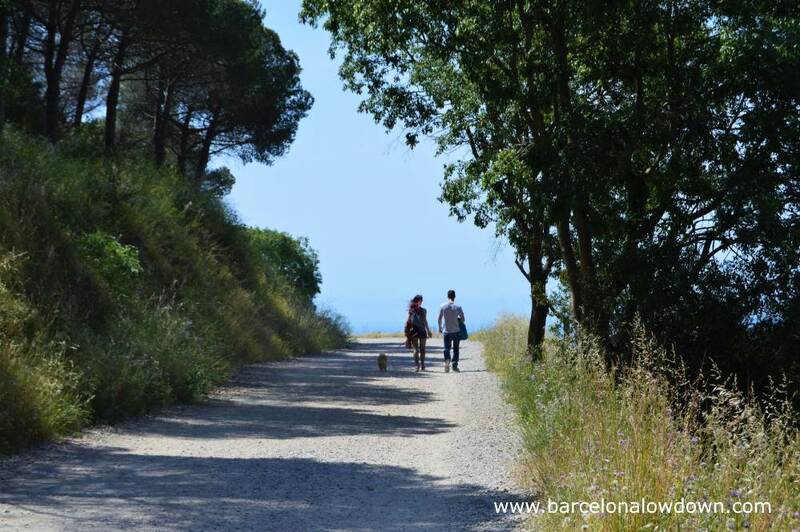 The best known and most accessible footpath is called La Carretera de les Aigües (English: Road of the waters). 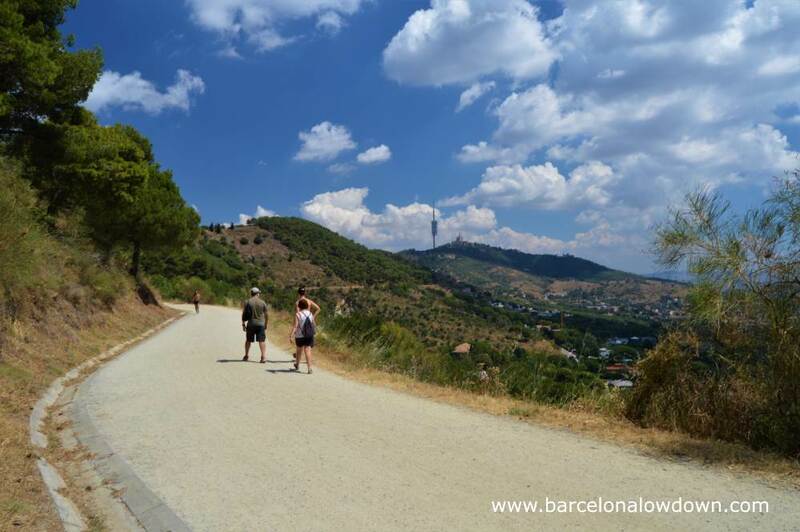 This 9 km path was once the service road for a pipeline which transported water from a cistern at Sant Pere Màrtir. The water pipes have now been removed and the path, which affords panoramic views of the entire city, is popular with families, dog walkers, joggers and cyclists. 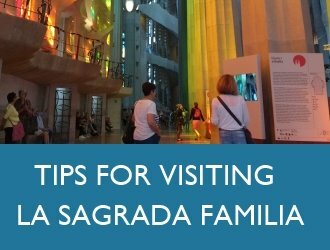 The easiest way to get to the Carretera de les Aigües is to take the Funicular de Vallvidrera which stops one third of the way along the path. 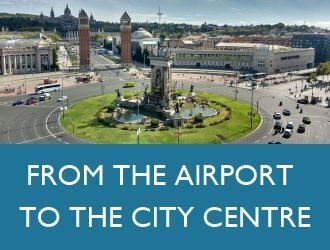 From here you can either turn right and walk south towards Plaça Mireia or turn left and walk north towards Plà dels Maduixer. To complete the walk either retrace your steps back to the funicular or catch the Tramvia Blau from near to Plà dels Maduixer. Alternatively, if you are feeling adventurous, there are several tracks which lead downhill towards the city centre. If you rent a bike it takes about an hour and a half to cover the entire route in both directions. 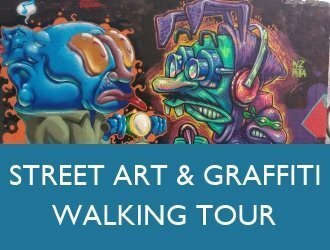 Personally I prefer to turn left and walk the northern section which affords the best views of the city centre while at the same time feeling closer to nature. 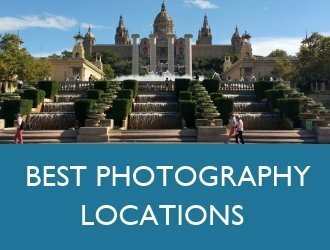 As mentioned above, one of the attractions of the Carrretera de les Aigües is the fact the it only takes about 20 minutes to get to from the city centre..
First take the FGC train (lines S1 and S3) from Plaça de Catalunya to Peu de Funicular. 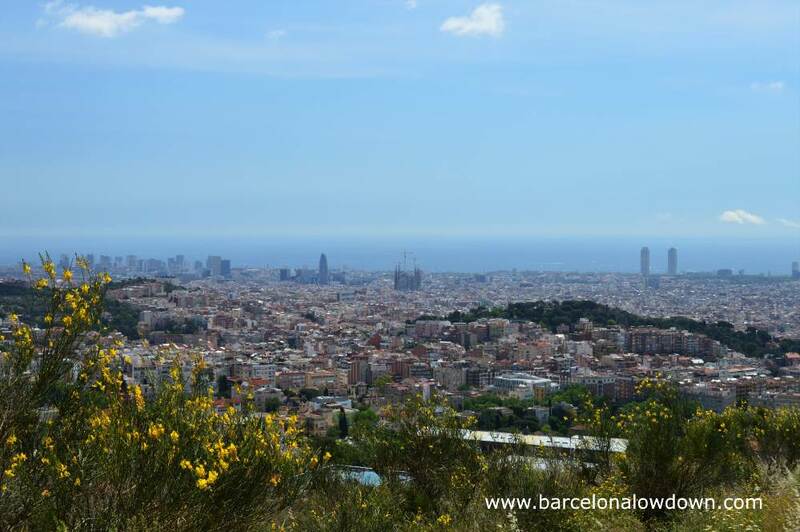 From here you take the Funicular de Vallvidrera one stop to Carretera de les Aigües. The funicular departs directly from the train station, just take the stairs or lifts up one level. Map of the FGC train lines, funicular railways and Barcelona metro system here. Foot passengers board the on the right hand side, cyclists board on the left. Space is limited and at peak times only two bikes are allowed on the funicular at once. 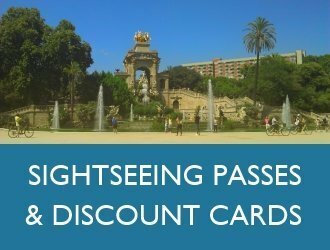 When boarding the train at Plaça de Catalunya it’s important that you choose a carriage in the middle section of the train since the platform at Peu de Funicular station is very short. The funicular railway doesn’t automatically stop at Carretera de les Aigües. On the way up you request that it stops by pressing one of the buttons next to the door as you board. When you return to the funicular for the journey back into town, you need to press one of the buttons next to the barrier. One is for the uphill journey the other for downhill. There are no ticket barriers at the Carretera de les Aigües station. You have to validate your ticket for the return journey BEFORE boarding the funicular using the machine on the platform (next to the metal bench). The footpath is well maintained and almost flat, making it idea for walkers and cyclists of all ages and levels of fitness. The surface is made of compressed sand and gravel so pretty much any comfortable footwear is suitable although I’d draw the line at flip-flops! If you plan to explore some of the tracks which connect with the footpath then I recommend you wear walking shoes or boots. 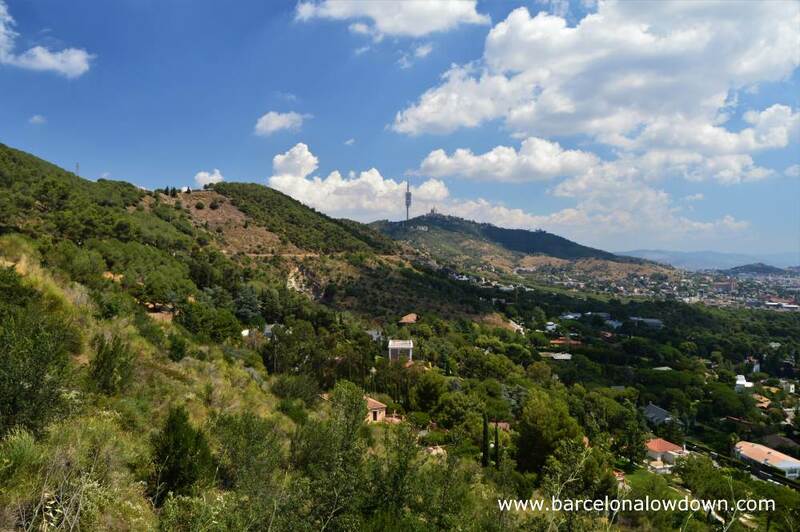 Despite the fact that Collserola national park is an area of woodland, there is very little shade along the Carretera de les Aigües so if you are visiting during the summer you should wear sunscreen and a hat and carry water. There are several drinking fountains along the length of the footpath where you can refill your water bottle as needed. In the winter you can expect the temperature to be a couple of degrees cooler than in the city centre. 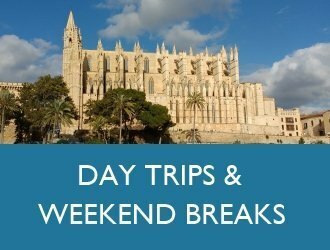 This entry was posted in Activities, Viewpoints tagged free, tibidabo, walks and updated on February 10, 2019 by Richard.